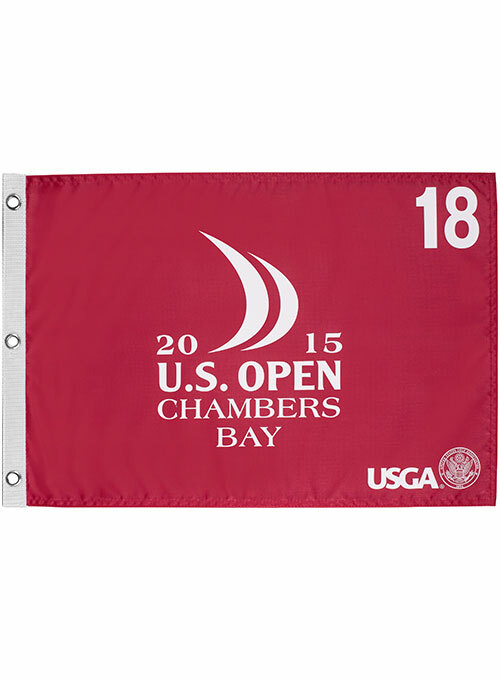 Official red screen printed 2015 U.S. Open golf pin flag from the tournament at Chambers Bay won by Jordan Spieth for his second straight major tournament victory. BRAND NEW. ONLY 3 LEFT.